It feels as though we’ve been environmentally aware forever, we’ve certainly gotten more and more environmentally responsible and more environmentally friendly over the years but now, as part of the Fencor Group, Manor Packaging is becoming environmentally sustainable too as we’re investing in an Anaerobic Digester. 500 kw anaerobic digester (AD) plant at its site in Scunthorpe. As we have grown, we’ve become more and more focused on our environmental responsibilities. As an environmentally aware company we, long ago, introduced practices into the business that would have a real impact and considered ourselves to be an environmentally friendly organisation, not just paying lip service, but really making a difference. As we’ve progressed and developed, environmental sustainability has come to be more and more important to us. “Corrboard UK will be the UK’s first sheet feeder to be self-sufficient for its power needs; an incredibly powerful proposition given the ever increasing demands to reduce environmental impact” the company commented. The whole group operates on environmentally responsible footing, with each division having best practice for each and every area, from buying sustainable supplies from particular suppliers to the effective and most ecologically sound methods of recycling waste products into energy so that it is useful … not wasted. Now, we’re immensely proud to be moving ahead with a project that will see the Group become entirely self-sufficient for its gas and electricity. As a plant that uses 18 million square metres of corrugated board per annum (and that’s just for our own manufacturing) the ability to be able to produce our own gas and electricity is huge. The site will produce enough electricity to power 1,000 homes and generate heat for some 500 homes. Once operational, the AD will make CorrBoard one of the most environmentally efficient sheet feeder plants in Europe. Designs are currently being finalised for the £3.5 million plant and the development is planned to start in late 2019. The modular design of the AD plant will allow output to be increased as production expands. Not only will the new AD provide all the energy that the plant requires, it will also feed excess energy back into the National Grid meaning that Manor Packaging and other Group sites will essentially also be powered by the AD in Scunthorpe. The Digester will use waste organic feedstock as fuel. 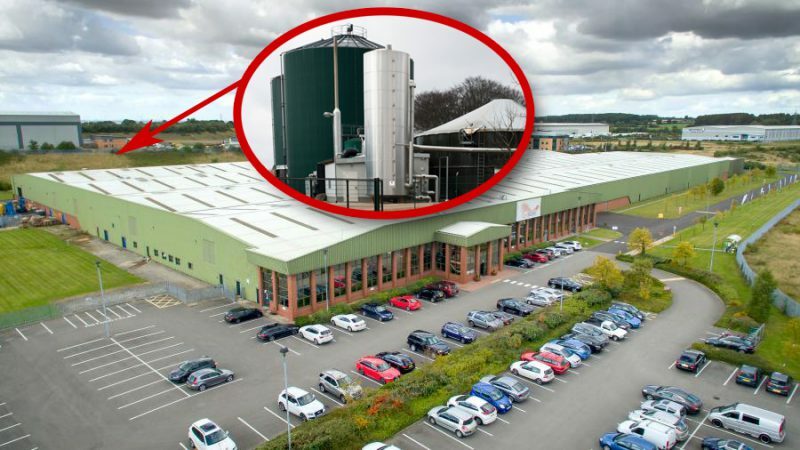 The surrounding area is home to a large number of food processing companies and the waste from these companies will provide the 25,000 tonnes of raw material needed, thereby saving it from going to landfill. Organic fertiliser will be produced as a by-product and will be sold for use in the agricultural industry. “When the Anaerobic Digester comes on stream, our environmental credentials will be as good as they can ever be. We are already one of the most up-to-date and most efficient corrugators in Europe and are 40 per cent more energy efficient than some older plants in the UK. Coupled with the way in which we utilise transport with pallet-less deliveries, CorrBoard’s carbon footprint is already impressively low and significantly better than our competitors,” said a company spokesperson. A large proportion of the company’s gas requirement will also be generated by the AD plant to fuel the boiler for the Fosber corrugator. In addition, the residual heat generated will be used to pre-heat boiler water, further reducing energy consumption, and provide heat to the factory.